It's all about appreciation this week at 15Five with some improvements to High Fives from within your 15Fives! When viewing a 15Five as a manager, follower/viewer, the 'High Five' section defaults to show High Fives received by the person whose report you are viewing. This default view makes it easier to see the appreciation given to your team members. Use the new filter to switch between All High Fives, High Fives received, and High Fives given. Remember: Received is the default. In a recent Gallup workplace survey, employees were asked to recall who gave them their most meaningful and memorable recognition. The data revealed the most memorable recognition comes most often from an employee's manager (28%), followed by a high-level leader or CEO (24%). So... what better time and place for managers to be giving praise and showing appreciation than when reviewing 15Fives! The option to High Five from a 15Five lives in the High Five section, under the 'High Fives since the last Check-in' list. 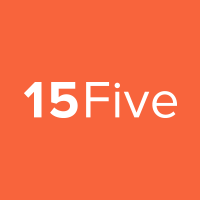 For a walkthrough on how to High Five from a 15Five, see this article.